3.1 Phillip Lim for Target is coming to stores and online on September 15 and is bringing an amazing collection filled with beautiful attire and handbags. Yes you heard correct. The New York based designer is releasing a collection which includes both men and women pieces right to a Target near you! What’s the best part? The line will range from $20 to $300. I absolutely love when designers collaborate with stores to bring affordable prices! 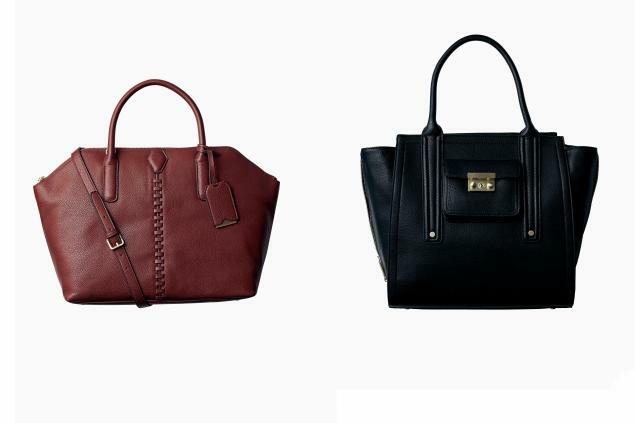 Personally, my favorite pieces are the handbags, both of the ones above in particular. Most of the looks have already been released online. The collection includes beautiful tanks, blouses, cozy sweaters, printed scarves, jackets, duffel bags, handbags, beautiful dresses, and pajamas – plus more! The collection is for both men and women. The collection itself is very reminiscent of his main collection, just cheaper and in different fabrications which makes the line affordable. Are you guys excited for this launch? What pieces will you guys buy?